For the past four years I have had the privilege of living and training with an Olympian. That Olympian will start his first Olympic race tomorrow in the 15km Freestyle. 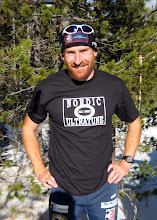 Garrott has many talents and is a well balance skier, performing well in every event: skate, classic, distance or sprint, however, the 15k is arguably his strongest event. Although I am sad to not be toeing the line tomorrow, I am very happy. It has been a great season for me and there are many exciting opportunities still coming my way. I have improved greatly these past few years and I have many people to thank for that. My main training partner and friend Garrott has perhaps taught me the most. I first met Garrott in June 2006 in Cable, Wisconsin. 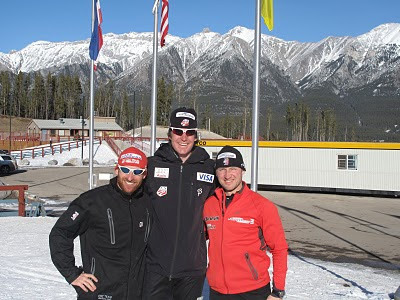 We were both 'freshman' on the new CXC Elite Team and were ready to become professional skiers. We have had a lot of fun and shared in many unique experiences over the years, but some things have always remained the same. Every morning, the bread machine beeps and it is time to wake up and train. I get out of bed knowing that Garrott is probably already getting ready to work to get faster. We don't necessarily talk about it, but the Goal... the Olympics... The 15k is certainly on the mind. I am very competitive and so is Garrott, and that is a good thing. Everyday I try to beat Garrott, sometimes I do, most days I do not. He more or less does the same thing. I believe it has made us both faster. We are smart about it and make sure that our competition matches the goal of our workout. We used to do specific strength sessions and race each other but we quickly determined that we couldn't race each other without completely exhausting ourselves and taking away from other workouts. Actually, Garrott is smarter about it and over the years I have learned from him about staying focused on the long term goal. One of my more memorable experiences as a ski racer is watching Garrott in our first week of World Cup Competition in 2008. Garrott's first race was the 30km Duathalon. It was a tough race for him and he fought hard the whole way. He actually threw up when he crossed the finish line, It wasn't pretty. It was a mass start race and Garrott passed several skiers but they all dropped out and he ended up dead last. Three days later Garrott had a World Cup top 10 in the Freestyle Sprint. It was awesome. Those experiences are a testament of Garrott's character and I will always remember both those races. Good luck to all the Americans tomorrow, but everyone should watch out for Bib 59.